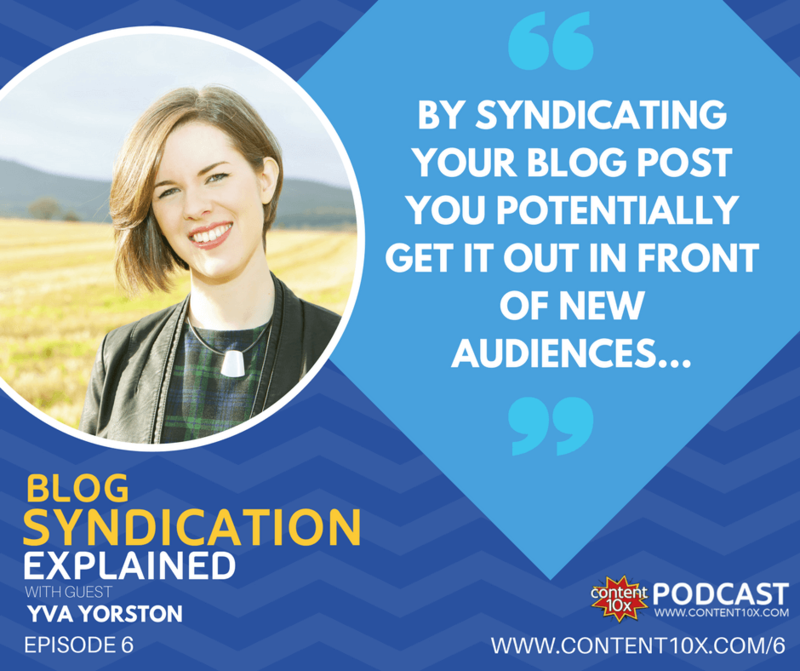 This week on The Content 10x Podcast I conducted my first guest interview – I invited Yva Yorston and we talked all about blog syndication. I plan to bring experts onto the show from time to time, so that we can delve deeper into specific aspects of content repurposing. 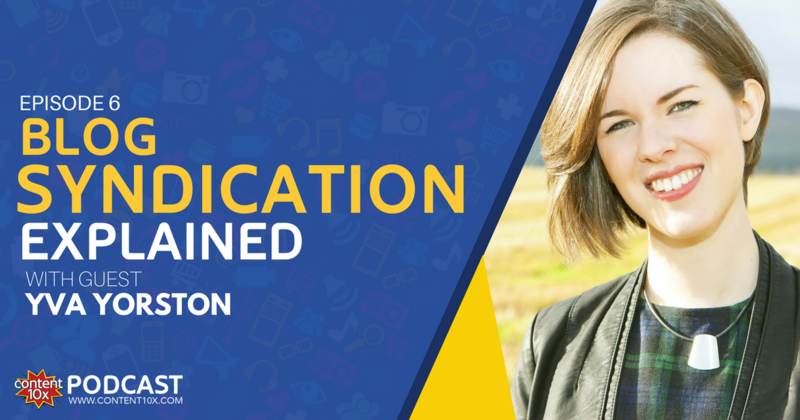 This first guest interview was jam packed full of tips and advice on blog syndication. Yva is an entrepreneur from Aberdeen in Scotland. She started her business, Boost Business Support, at the tender age of 22 when she was straight out of university. Within 4 years it has grown considerably and Yva has become an expert in blog publishing and promotion. She works with clients to make blogging an easy, efficient process, and one that gets results. Yva loves to share her story and connect with fellow entrepreneurs, and is regularly invited to speak at business events, universities and schools, most recently at the CMA Live conference in Edinburgh. 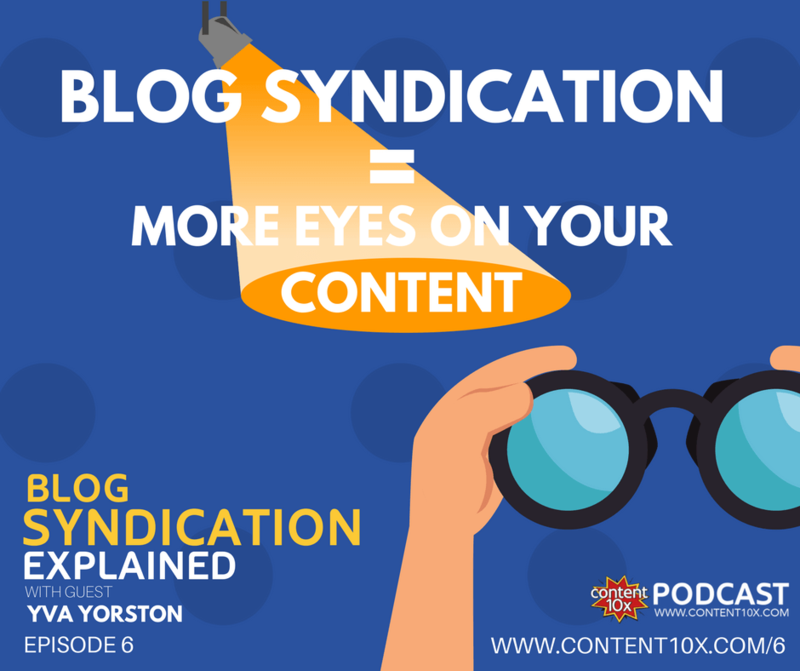 What we discussed...firstly, what is blog syndication? When we create great blog posts we tend to shout out about it on social media, and maybe send an email to our list. But, that still only gets the content in front of your existing audience. By syndicating it you put your blog post in front of new audiences. Yva explained that you can republish the exact same article. However, there are benefits to making slight tweaks so that search engines do not consider it to be duplicate content. It’s best to avoid having the posts (original and syndicated) competing against each other to be found by the search engines. A tip tip is to consider changing the title or the subtitles, and the introduction as well. Where can you syndicate blog content? Popular places to republish your blog posts are LinkedIn (as an article) and Medium. You can also consider blog sites that specialize in niches that are relevant to you – many are open to syndicated content as well as unique guest posts. Very popular sites like Mashable, TechCrunch, Lifehacker, HuffPost...etc, will take syndicated content but you may need more of a profile in order to get accepted onto those sites. 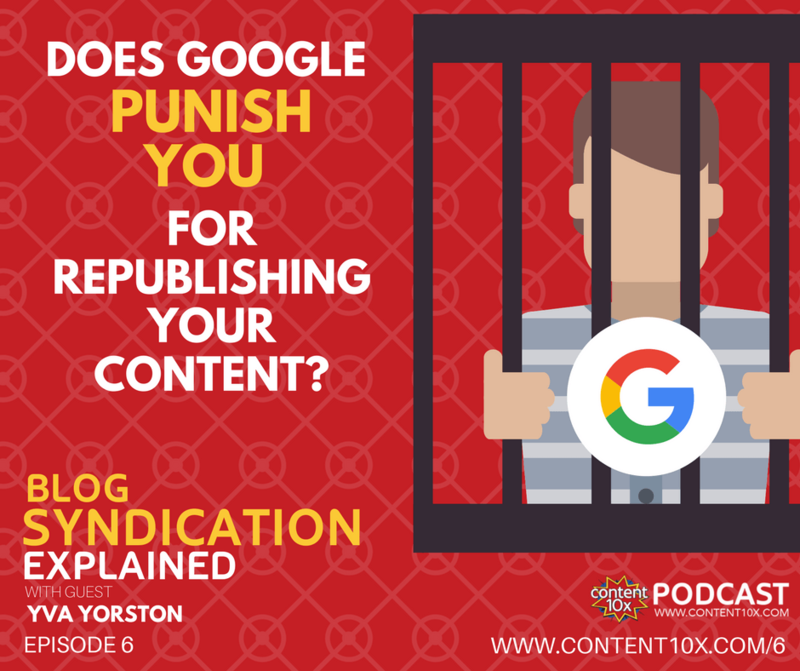 TOP TIP: Yva explained a quick and easy way to find out whether a site accepts syndicated content; perform a search for the name of the website + “this article originally appeared on”. Usually this will help you find out if the site accepts syndicated content. Anybody with a LinkedIn profile can write an article on LinkedIn. To do so you simply post an article in the same way that you post an update. You will notice article is an option – this is not the same as a status. You can quite literally copy and paste your article that has been published on your own website. You may need to tidy up the formatting but on the whole, it’s not the most time consuming process. But, do you get punished by Google? The big advantage of blog syndication is more eyes on your content and more chances of being found by new and different audiences. There's no reason why you shouldn't give it a go. However, it’s a good idea to wait a week or so before republishing content elsewhere in order to let the search engines index your article as the original source. To find out more about Yva Yorston you can find her on social media with the handle @boostbizsupport on Instagram and Twitter. Plus, if you’re looking for ideas on what kind of blog posts to write about she has a free cheat sheet download on her website called ‘52 Blog Post Ideas’ .